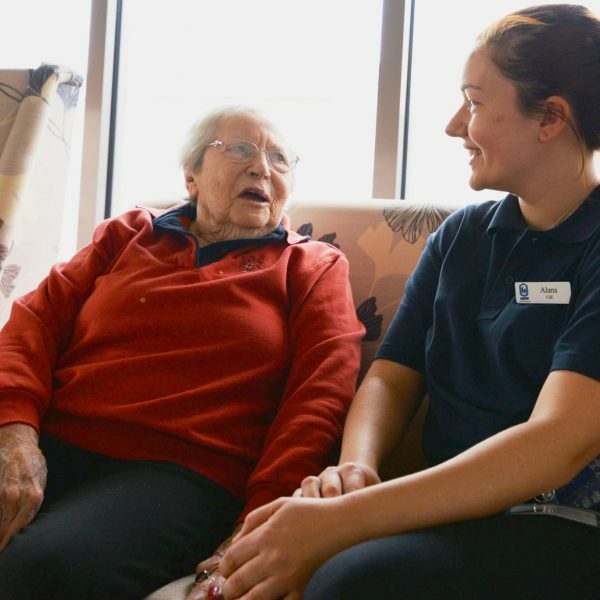 After surviving scarlet fever as a child and being trapped in rubble for three days during an air raid bombing of London as a teenager, 90 year-old Joyce Smith now enjoys celebrating milestones. As a resident of Oolong Hostel, she is looking forward to the 25th anniversary morning tea party on Tuesday. Oolong Hostel in Howlong was officially opened on 6 February in 1993. 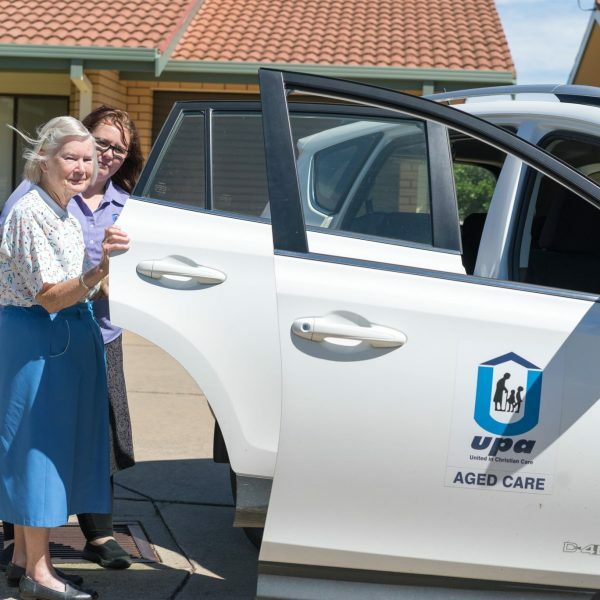 It was then owned and operated by Hume Shire and in the same month 18 years later, UPA Murray took over the running of the 21 bed residential aged care hostel. Mrs Smith has lived at Oolong for 10 years after moving to Australia with her husband and children in the 1960s. She enjoys the care and friendship of staff and fondly remembers one group of visitors; the local motorcycle club who gave her a ride on their large 3-wheeler up the main street of Howlong. Regional Director, Tony Dunn said Oolong’s 25th anniversary celebrations will be a little tamer. 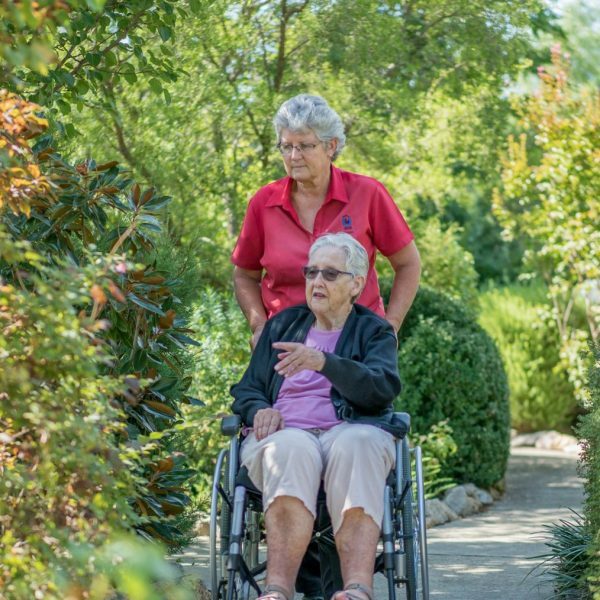 “Mrs Smith’s life story is an example of how interesting the lives of our residents have been. 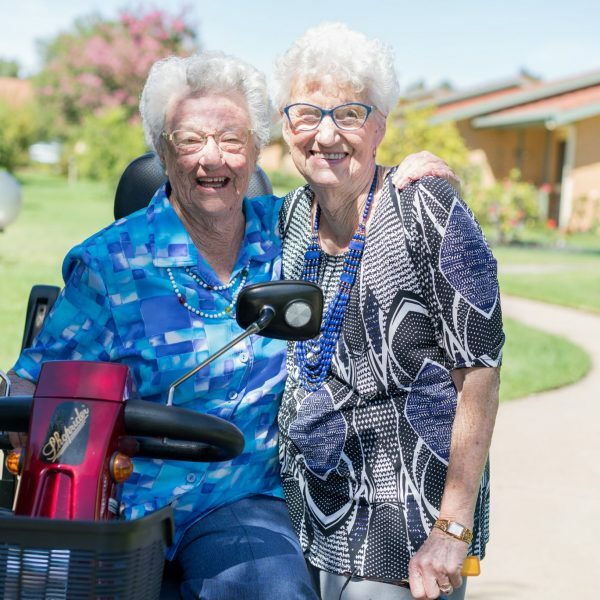 Her motorbike ride highlights our philosophy of encouraging residents to engage in new activities and maintain their independence where they can. The 25th anniversary will be marked with morning tea and cake. It’s an important occasion that allows us to acknowledge the many people who have been involved along the way,” he said. “In addition to many volunteers from the community having long associations with Oolong, we have four staff that have been working here for more than 10 years, two of them almost 15 years. They have been here longer than UPA and we value their dedication; continuity of care is important for the residents. Steve Walkerden, UPA’s General Manager will travel from Sydney to attend the celebration. Oolong’s oldest resident, Edna Huxtable who turns 97 this year, will cut the cake. 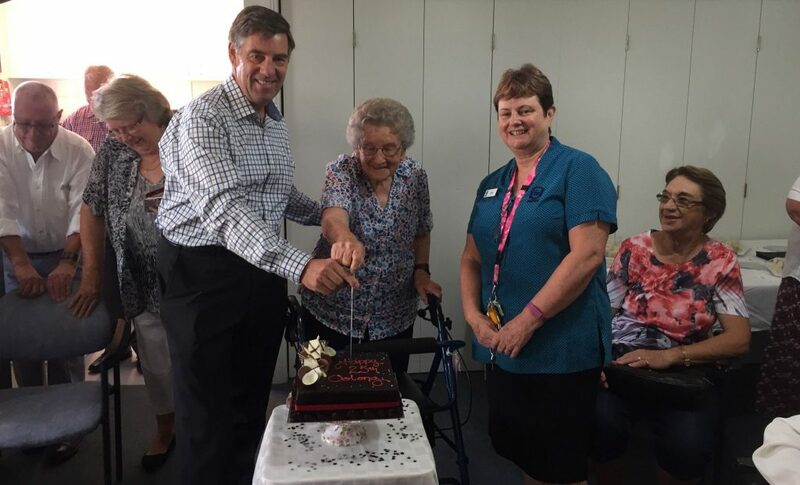 Tony Dunn, Regional Director, Edna Huxtable Oolong's oldest resident and Jenny Walker, Acting Care Manager cut the 25th birthday cake. 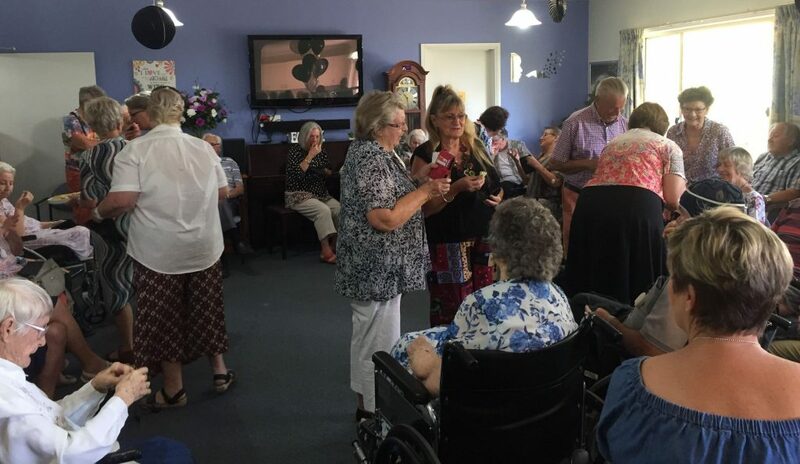 Residents, families and supporters celebrated the 25th birthday with morning tea.